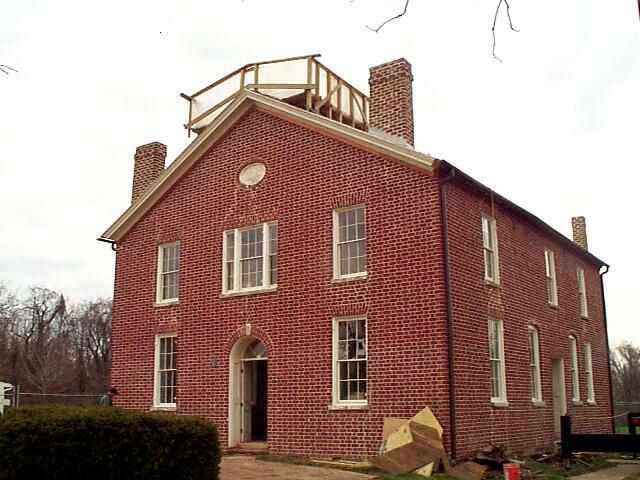 Just in time to celebrate the New Year, the Brentsville Historic Courthouse was topped again with her newly refurbished crown after nearly four months standing without her peak. 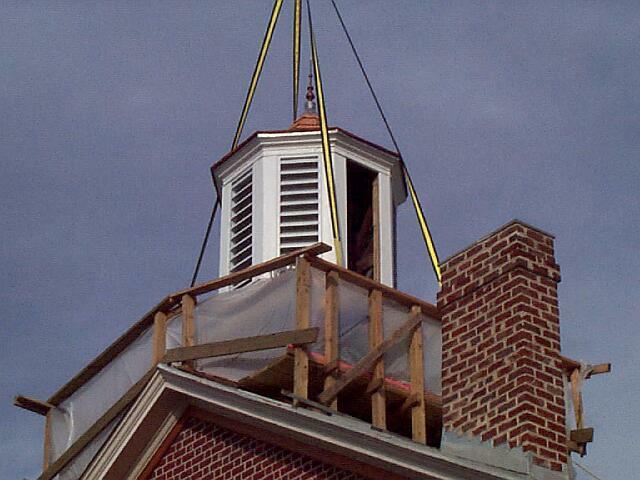 Last August, the cupola and the bell housed within were removed from the Courthouse summit for renovation. 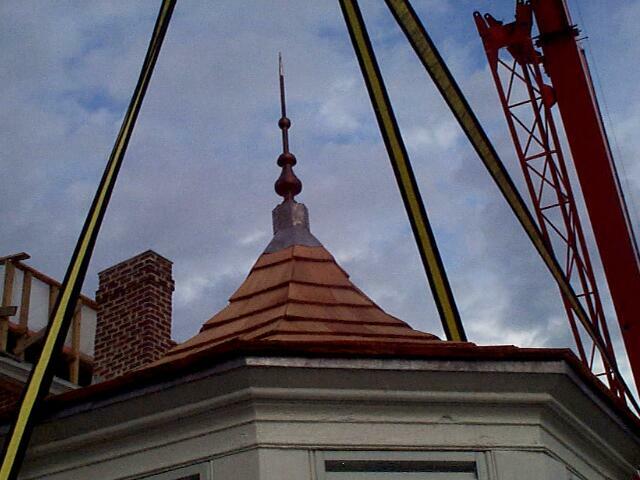 The cupola sat on a platform in front of the 1822 Courthouse while renovation was underway. Most of the exterior wood had to be replaced due to excessive wear, but thick interior cross beams, complete with names of a few people who left a record of being at the top were left in tact. 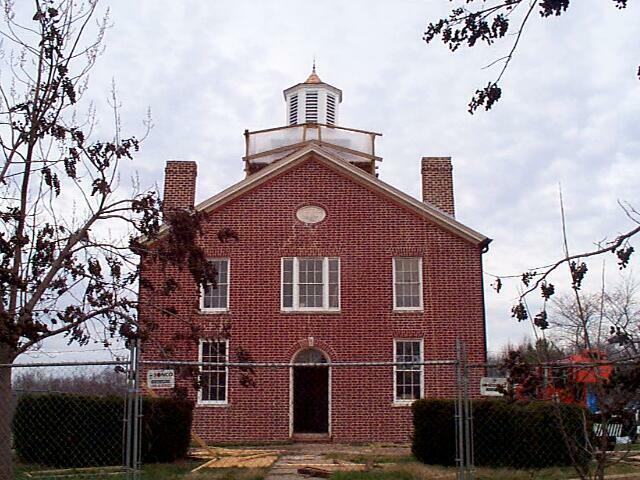 Local citizens were also pleased to discover that the Courthouse Bell was still housed within the cupola. There were two schools of thought as to where the bell might have disappeared to, since no one had heard the chime for quite some time. Brentsville's honored bell ringers on both the day the cupola descended and again ascended were Nelson Keys, who remembered ringing the bell over 50 years ago, during World War 11 and Gladys Eanes "2001 Brentsville Citizen of the Year." A detailed series of photos were taken of the bell. We hope to research when and where the bell may have been cast. The bell stanchion (stand from which it hangs) casing bears an 1886 date and a "No. 22" but it is not known whether the bell was cast at an earlier date as there are no markings on the bell. 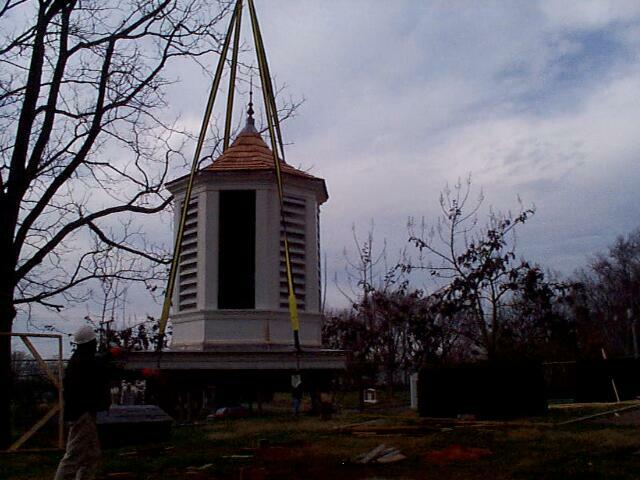 The bell diameter measures 8 1/2 inches at the top and 21 inches at the bottom Height is 15 inches. The bell appears to be made of brass, however the patina is very weathered and covered with bird droppings. 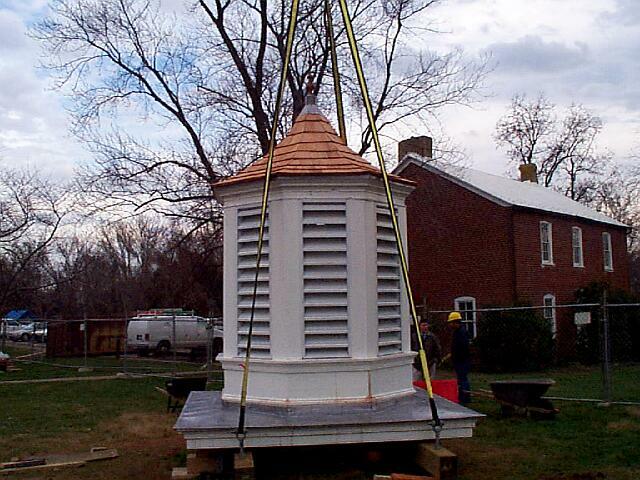 The Brentsville Historic Trust decided to replace the bell "as is" back into the restored cupola. Funds do not exist at this time to restore and/or clean the bell. 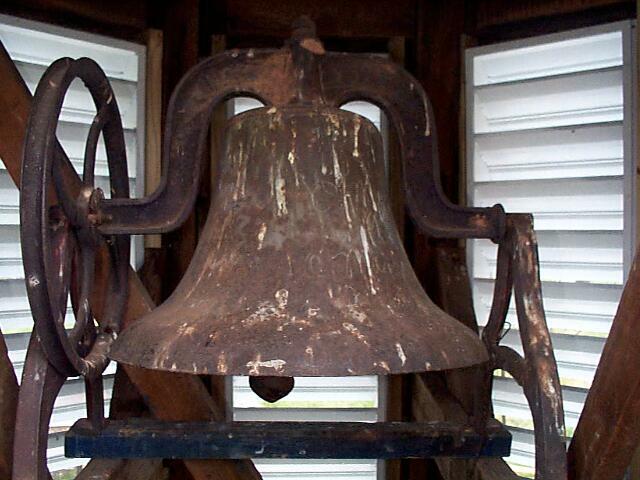 Until such a time arises, the Friends of Brentsville Courthouse will continue to research the history of the bell and consult bell restoration experts to get an idea about the best way to preserve this "ring" for the future. Wouldn't it be nice to hear the bell once again ring on special occasions, or to summon citizens to Court Days? Stay tuned.